Our mission is to share R+L Carriers’ family-owned values with small communities through event hosting and promotions; to increase public knowledge about employment opportunities in our growing company; and to identify new ways to expand our business. R+L Carriers makes thousands of deliveries every day and employs over 10,000 people from all over the country, each with their own unique background and story. Our customers and employees are what have made us so successful, and we want to be part of their story. What better way to connect with our employees, customers, and the future of our industry than to meet them where they are- their Hometown. To give back to communities like the ones who have supported us over the years. To invest in the future of our industry by educating students about opportunities in logistics and commercial transportation. To make connections with our customers and employees where they live. To identify new shipping opportunities. We’d love to interact with your community. Upon arrival, participants are welcomed to tour the Hometown Showcase hauler. The hauler will be the hub for scholarship information, career opportunities, and community activities. In addition to career and shipping information, the Hometown Hauler features HD video displays of R+L’s History, Career Opportunities, and industry facts, a technologically advanced seating simulator, interactive kiosks, and more! Although these events often take place at high schools, visitors can expect games, activities, and family fun all ages. Some activities include corn hole, a sports challenge, and yard games, as well as plenty of opportunities to win free stuff! Because we believe education is a crucial part in preparing for the future, R+L will be providing a scholarship to one applicant from each event on our Hometown Showcase tour. We know attending college is costly, and we want to help students focus more on their studies and less on making ends meet. Students wishing to apply for these scholarships should provide their name and email address on our contact form so we can follow up with more details. The logistics industry is a world full of fast moving parts and we want to highlight some of the vast opportunities available. Because our industry is so diverse, there are careers available at R+L Carriers for people of all backgrounds, skill sets, and education levels. At each stop on the Hometown Showcase tour, logistics professionals will be on hand to share their experiences from the road and the office with interested students. Our blog, The Program, The Program, will also serve as a great resource for high school students looking for advice on preparing for college and their career. 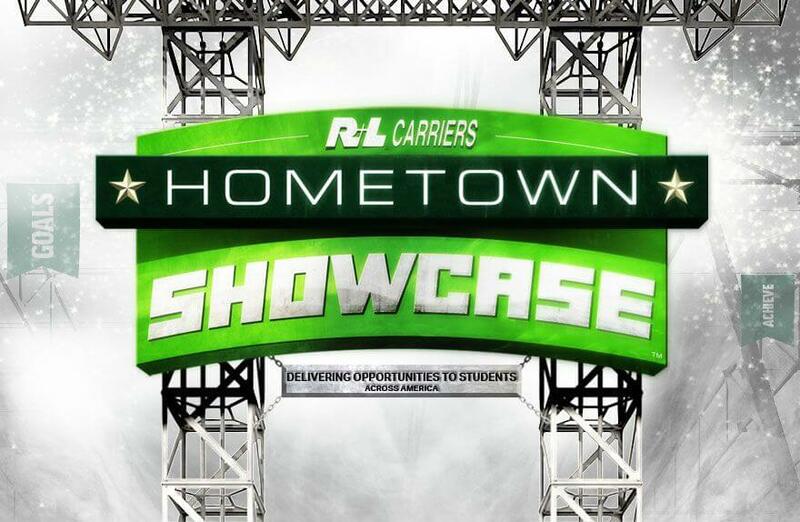 R+L Carriers’ Hometown Showcase is always looking for opportunities to go new places and connect with different communities. We’re open for suggestions! If you think that your school or community event would be a good candidate for a Hometown Showcase event, let us know! Contact us here to get started.